1. Who led the French at the Battle of Trafalgar? 2. Who said, "Thank God I have done my duty," as he lay dying on the deck of his ship? 3. Who led the British at the Battle of Trafalgar? 4. The Battle of Trafalgar was fought off the coast of what country? 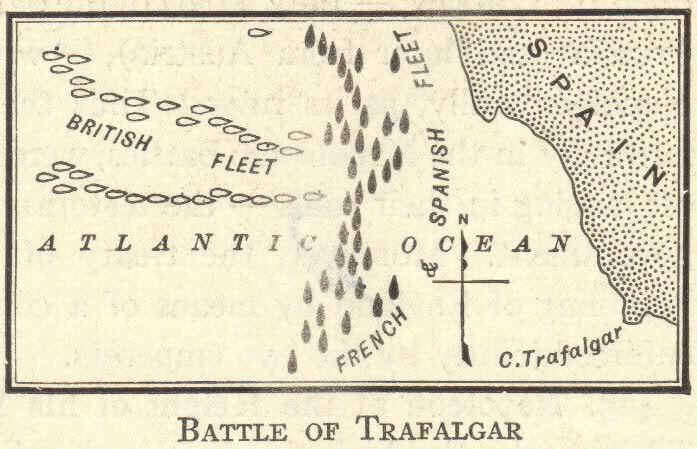 5. Who won the Battle of Trafalgar?